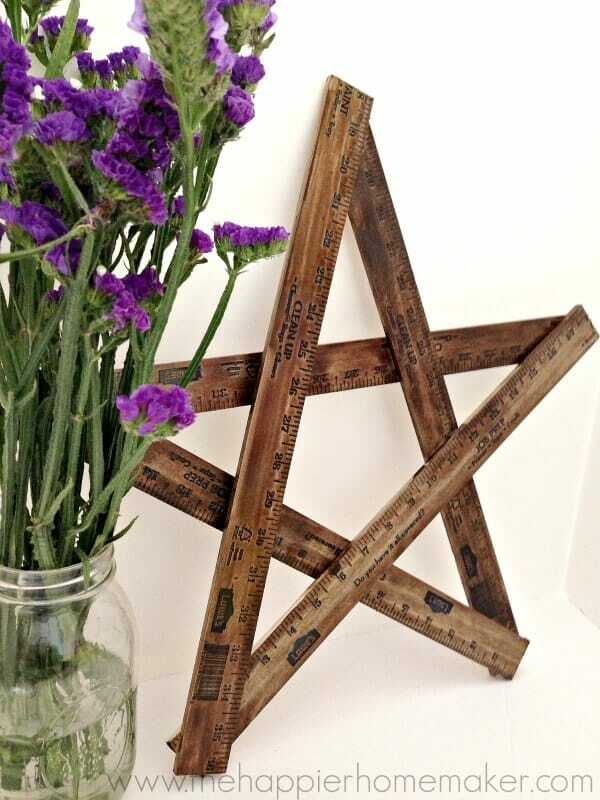 Although we homeschool our boys, I’ve been seeing a lot of friends looking for simple, easy ideas for teacher gifts to give as we head into back to school season…this easy DIY ruler star is the teacher gift idea and would make a super cute decor accent as well! 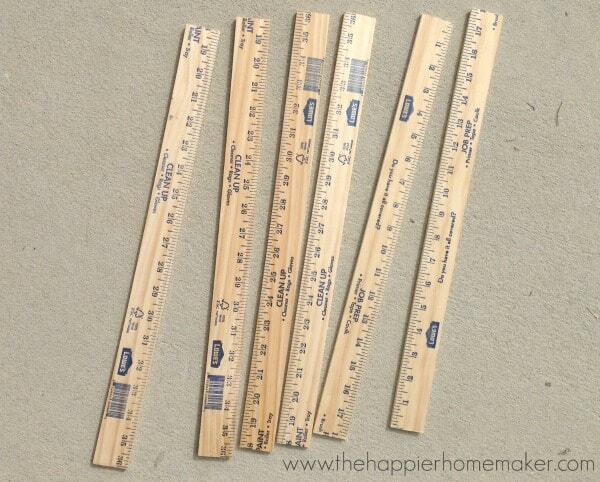 Use a saw to cut each of your yardsticks in half at the 18″ line. Set one segment aside so you have 5 total pieces to work with. 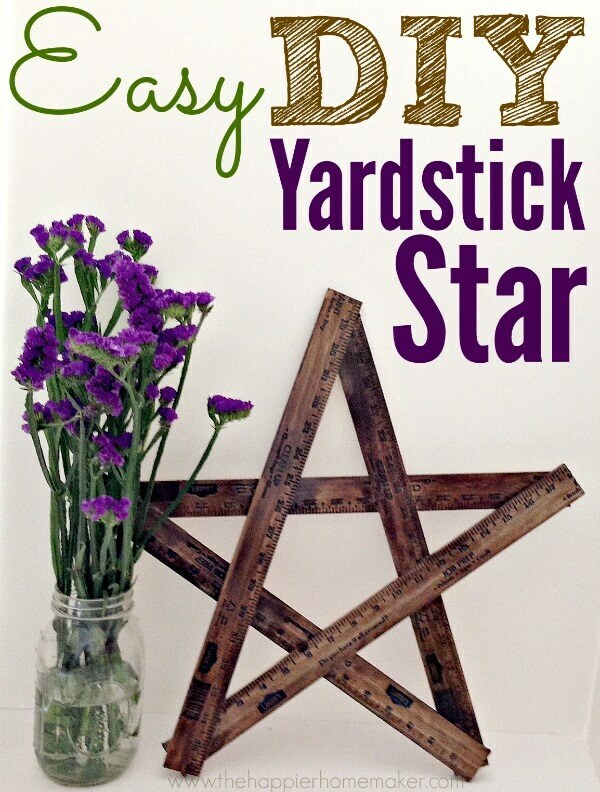 Form your yardstick pieces into a star shape. 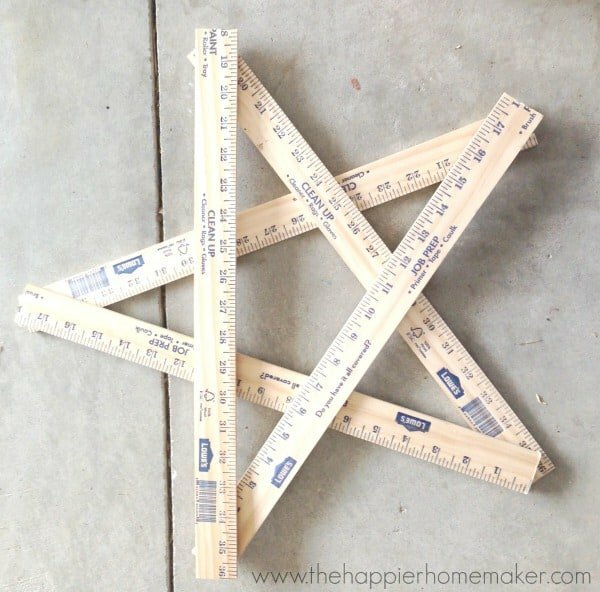 This step takes a few minutes of play to get the star looking even on all points so be patient and just adjust the pieces little by little until it looks right to you! Once you have the pieces in place you’re ready to start gluing! Working slowly around the points of the star apply a dot of wood glue at each point to join the two pieces. 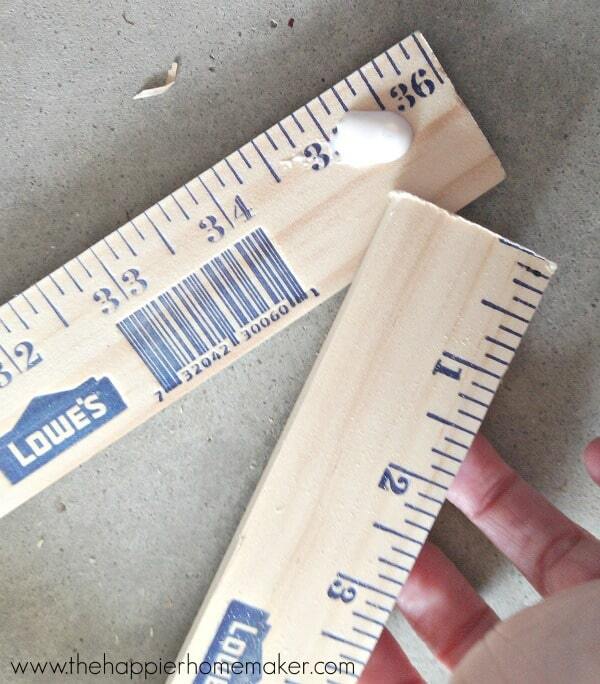 Be careful not to use too much glue so it does not leak out from between the pieces and affect your staining later. 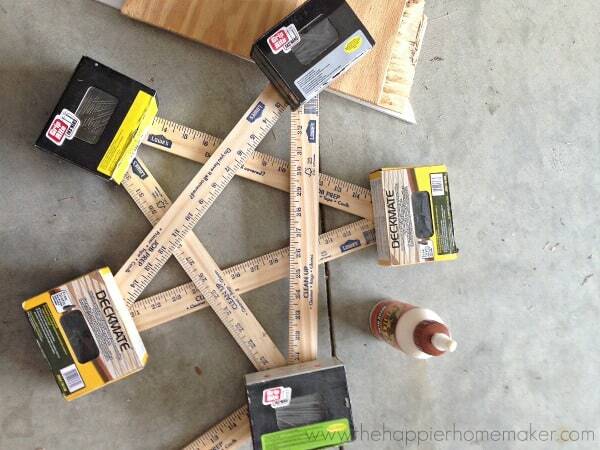 Use pieces of scrap wood to prop up the star points that aren’t flush with the ground while gluing. You can use clamps or a few boxes of nails (use whatever you have on hand) to help add some weight over the areas being joined until the glue dries. Let your glue dry at least two hours. 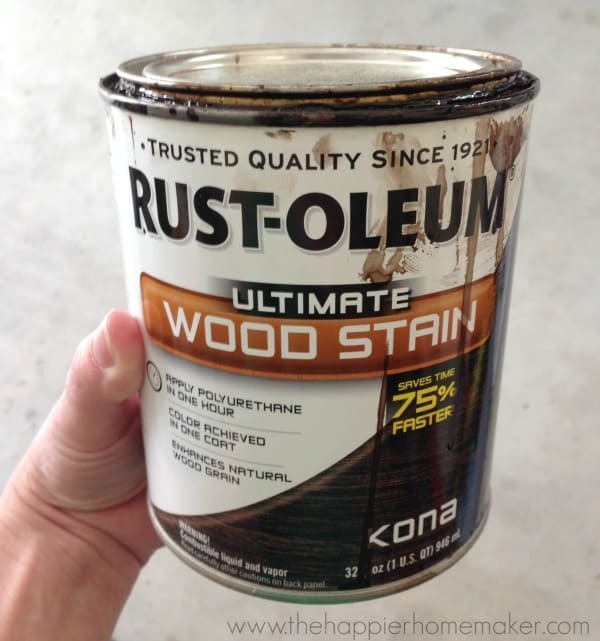 Once dry, apply three generous coats of Kona colored stain for a super dark finish on the yardsticks. Allow the stain to dry completely before handling your star. You could add a hangar on the back but I chose to display mine leaning against my wall on the mantel! 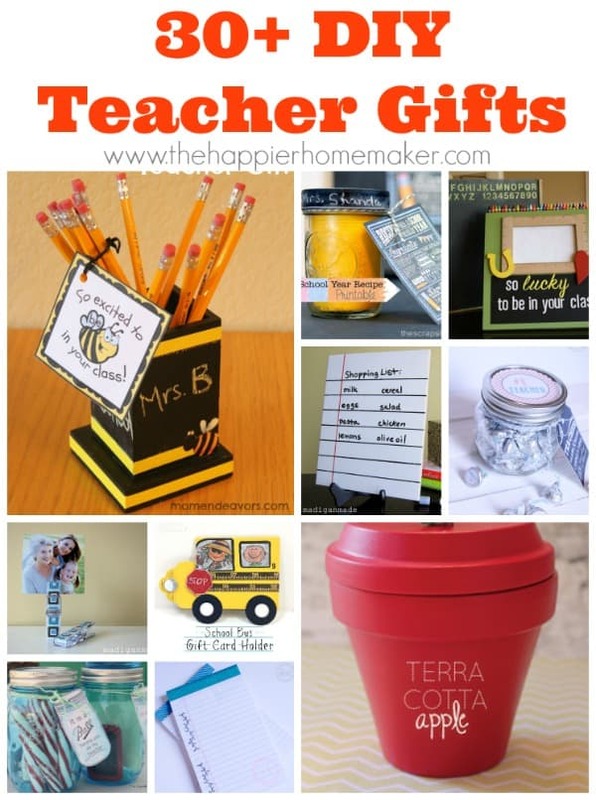 For more back to school and teacher gift ideas check out this fun round up!